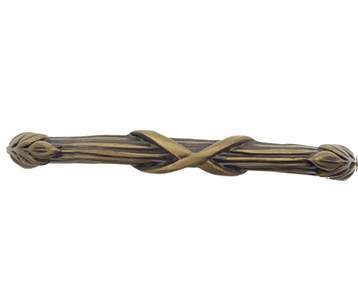 3 1/2 Inch Solid Pewter Sonnet Pull (Rubbed Bronze Finish): measures 3 1/2 inches long and 1/4 inches wide with a projection of 1 1/4 inch. Center to Center spacing of 3 inches (76.2 mm 3.00 c-c). This item comes complete with the mounting hardware.